Santa greets passengers aboard Durango and Silverton Narrow Gauge Railroad’s Polar Express train. The holidays are pulling into the station, which means one thing in Durango: The Polar Express train is set to depart! Durango & Silverton Narrow Gauge Railroad’s annual Polar Express train will start running to the North Pole on Nov. 22 and will continue through Jan. 3, so put on your pajamas and get ready to ride the rails! Be sure to check the schedule as departures times and dates vary. The entire Polar Express experience is based on the award-winning, best-selling children’s book The Polar Express by author Chris Van Allsburg, which was also made into a Christmas-classic movie in 2003. The story comes alive on board the historic steam-locomotive-powered train as characters, including the hobo, conductor, Billy, elves and Santa himself, visit with passengers. During the train ride to the North Pole, passengers can sip hot chocolate and enjoy treats while listening to their personal chefs read The Polar Express story. After the train makes a stop in the magical North Pole to pick up Santa, the Big Man in Red will visit each passenger car to chat with the children about what they want for Christmas and whether they’ve been naughty or nice. Passengers can also sing along as the personal chefs lead everyone in Christmas carols. 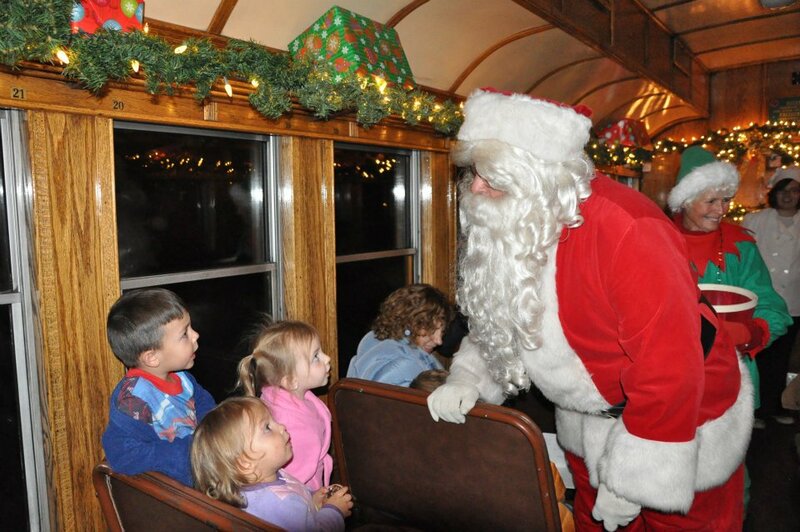 The Durango Polar Express trains sell out quickly, so be sure to get your seats today. While you’re in Durango for the holiday, be sure to book your room with us at the North Pole Quali…er, Durango Quality Inn!